Environment Canada has issued a heat warning that includes Toronto, Hamilton and the Niagara region. While people will fumble around with air conditioners that might not cut it with the extreme heat, Metrolix has some fumbling to do to make sure tracks stay safe. 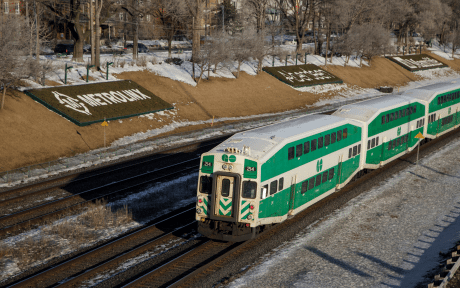 The heat can cause something called “sun kinks” in the rails which are dangerous if a train passes over them too fast, so the transit agency may temporarily slow orders for trains on its GO Transit and UP Express services. So if you’re worried about being out in the heat, just remember that you may have to wait a few extra minutes for your train. Remember Tony from the cover of Toronto Life? Tony apparently represents a trend—millennials who could move out of mom and dad’s house, but choose not to because they want overpriced bottle service. Apparently, that trend is mostly just Tony and the ‘Core Four.’ Other millennials aren’t moving out of their parents house because they just can’t afford it. In Toronto, 18 per cent of the demographic live at home—eight per cent higher than the national average—but it’s not so they can spend more money, it’s so they can save the little they make. This is just a reminder in case Tony hadn’t annoyed you in the past few days. You’re welcome! If you’re feeling angry with the police, perhaps get involved with some activists groups, or channel that anger into something constructive like art or music. One thing you should not do is take a bag of clothing, light it on fire, and throw it over the front desk of a police station, as one Pickering man did. There are plenty of ways to express outrage, but throwing anything that is on fire at will generally be frowned upon. That is your friendly Torontoist tip of the day.